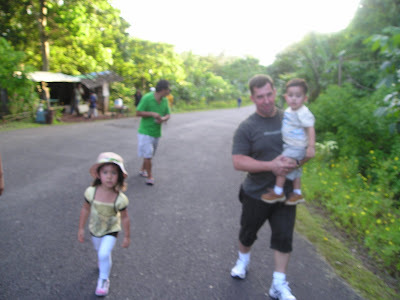 These photos were taken during our first trip to the Philippines in march 2009. After our enjoyable trip to Cagsawa Ruins, we proceeded to the WildLife Zoo and then for the finale, we went to Lignon Hill (Daraga Albay). The view was pretty awesome on top, its just a very long walk because vehicles are only allowed to drive to the top at 6 p.m. 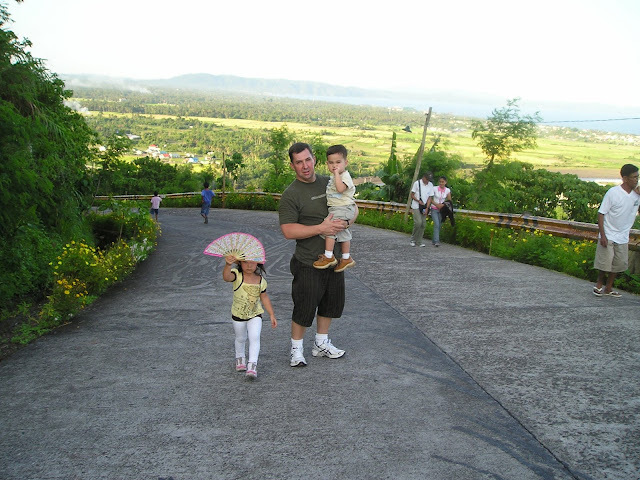 So we went there on foot, I felt bad because hubby had to carry our son EJ going up and he was very tired. We were full of sweat lol. Here are some of the pictures. Can you tell, we were tired? I snapped a photo of my dear princess before we went back down.. 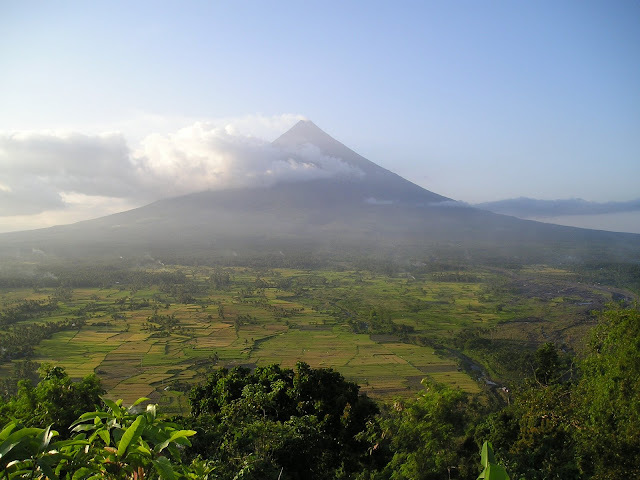 The beauty of the Majestic Mayon Volcano - Bicolano's pride! The wind was so refreshing when you get to the top. There is also a zipline for a 200 pesos fee. My daughter wanted to try it but she's too young to try it hehehe..
nice view and tiring experienced for sure!!! wow, nice view of the Mayon volcano; never been there, hope someday to see it :-). That is the world famous Mayon volcano at the back. Yes, that place looks like paradise. I'm sure your family enjoyed your vacation in the Philippines. Your children finally got a glimpse of their mommy's birthplace. I've never been to the Casagwa ruins. 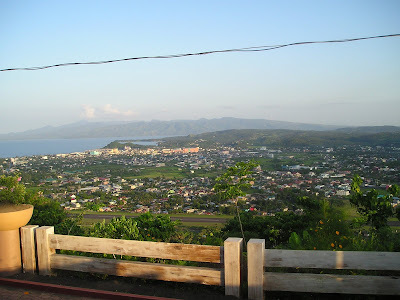 I will surely visit it next time I go to Bicol. You probably could whip a terrific laing and Bicol express- two of my favorite foods. I always loved authentic Bicolano laing and Bicol express. Thanks for the post. God bless you always. Hi Sis! Miss you too... ANg ganda ng View! Sana makapasyal din dun. I hope you had a great time! Sana next time magkita na tayo, kaya lang mukhang matatagalan pa ata yun hahaha! Take care always! 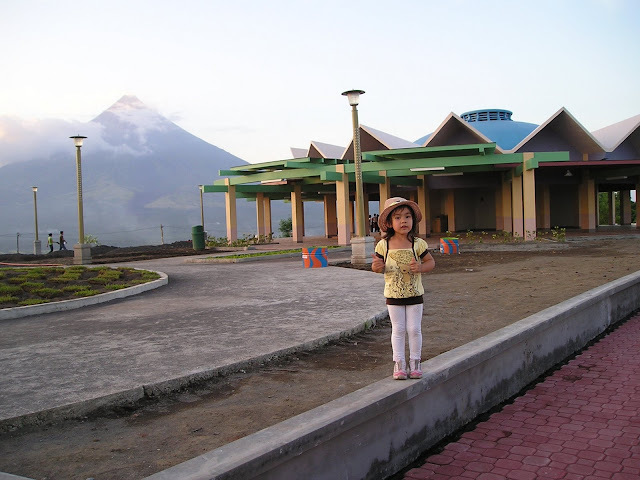 wow manang ko...very impressive yung spot ng volcano...the whole place is gorgeous...green na green yung surroundings....wish to go there...hehhehe! woi bat si Ej carry ni hubby? ayaw ba nyang maglakad? d nyo ba dala yung stroller? hehhe..si rye cute ng outfit..naka pamaypay pa...hehhehe! thanks for sharing manang ko...auau! Oh boy! What a wonderful scenery here. Umuwi pala kayo? How nice naman! 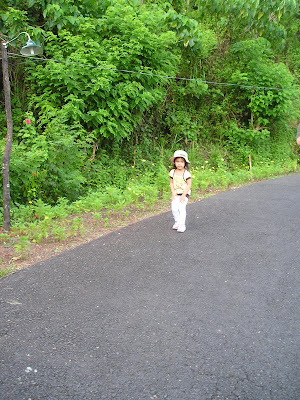 By the way, hope you will add me here in your blog roll too Rose. added this one in my two blogs already , thanks for reminding me....ala yung isang blog ko dito...o:)hehehe..add m din ha? wow nice view.I had been to hot spring many years back. 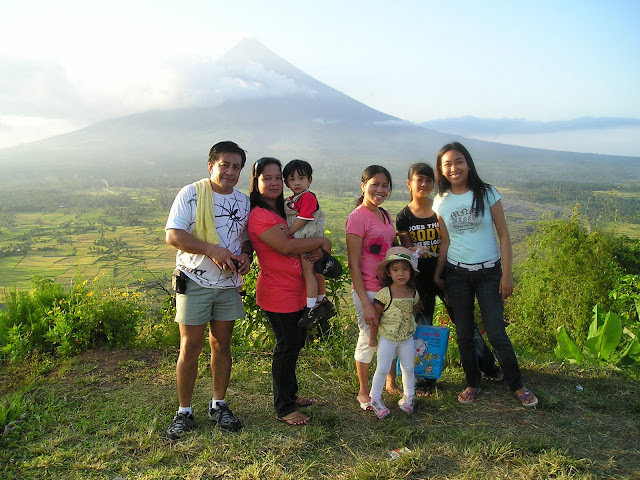 That was when I was in second college.Seen mayon volcano...nice view. Wow! A perfect, perfect family.... result to a perfect picture. 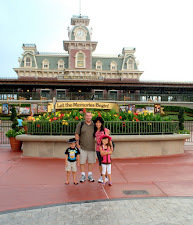 I really find your family perfect Rosierose... Loving you and John and the adorable kids. Beautiful scenerey. Never been there yet, u'know. I'm sure super nag-enjoy si John sa Lignon Park! Ang ganda kaya ng view doon! Hindi ka ba nag-try ng Zipline? Kahit napagod kayo sa nilakad nyo sulit naman at ang ganda ng view pag dating nyo sa itaas! the photo says napagod nga kayo kahit naka smile pa rin, but am sure nagenjoy ng sobra with that majestic view. been to bicol pero di ko pa nakita ang mayon. sabi nila malayo pa raw don. truly bicolanos pride! woww.. ganda ng mga pictures mo Rose. wish to visit those places someday. no, you guys dont look tired at all. hehehe.. looks like everyone had a great time..
Ang ganda ng pagkakakuha mo sa mayon bakla erfect na perfect parang conewaaaa just kidding perfect cone talaga ang mayon ano, paano nlng pag pumutok. Anyway. I cant tell if you guys were tire because you wereall grinning and sweet smile pa rin parang hindi naglakad ng mahaba. So that visit you had last summer was the first after 5 years? i thought you guys you have been there many times. Ang galing makisama mga anak mo bakla ahh kapamilya talaga. Ang ganda talaga ng lugar ninyo bakla pang movie ni claudine hehehehe. Ang daming taga subaybay sa marvelling mo bakla akala ko pagdating ko dito hindi mahaba ang linya waaa. Salamat sa mga bisita mayor sa mga dungeon ko bakla. mmmuah sa mga chubskulit mo and to you. it is good to see the photos again sis.....thanks for sharing it again...have a great monday...at tuesday na pala jan...hehehehe! Very beautiful photos with nice description. I am sure you have enjoyed a lot at Philippines. I remember the last time I visit Mayon in Bicol w/ my family that was 18 years ago I guess.Namanhikan kami sa wife ng eldest brother ko.I love Mayon so much. wow! haven't been there rose but will surely put it in my list of places to visit. 200 pesos for a zipline is not expensive. whew! thanks for the tip. hello rose! thanks a lot for changing the URL ha. appreciate ko talaga. ay, di na. sweden na ulit. flew to hongkong for a 5 day vacation galing sa pinas on the 24th of July pa. hehe. yung blog mo sa the pastime shelf blog ko is NOSTALGIC MARVELING ang title. pero sa www.hnhpages.com and www.ovahcoffee.com blogs eh OUR CLAN'S MARVELING. okey lang ba? yung URLS eh the same naman. let me know if you want me to change the titles,too. hugs! I have added this link on my site weeks ago. I hope you can do the same with my link. I don't know if I still miss any link of yours in my site, just let me know if I do so I can add it. Hi Mommy Online, Oh I did not want to be a HOG in claiming that Mayon Volcano is only a Bicolanoes pride hehehe, madami kasing pinoy who dont even know where the Mayon Volcano is or they don't know that it exist. 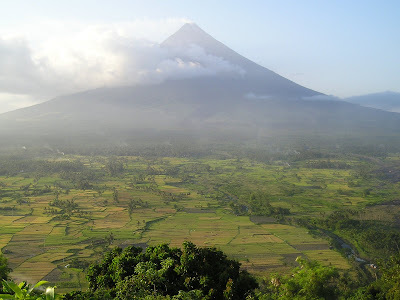 I'll add you here..
gosh never been to albay.. pero ang ganda talaga ang mala-perfect cone shape ng mayon. sana wag sya masira in the future. Actually di na sya perfect cone kasi the last eruption did some damaged to its shape. Thanks Bambie! 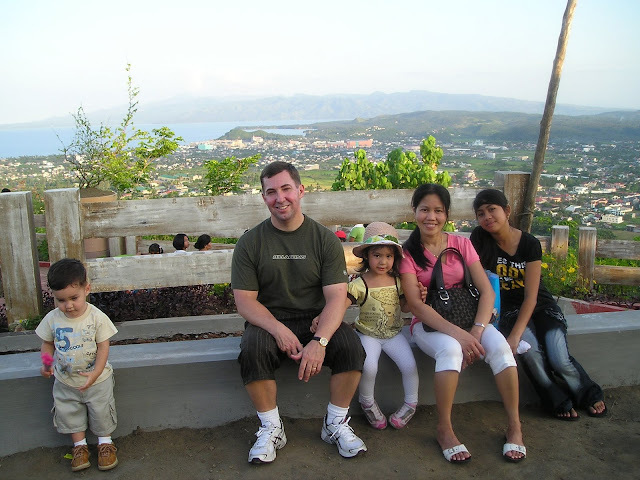 I have loved seeing some of the Philippines through your blog. My husbands family is Filipino. I love the culture and food! I pray someday to take our boys there to meet their Great Lola. Has to be soon she is getting older. beautiful shots of the mayon. and the burittos are still so little here, they're so cute! wow, 2009, we haven't even met online yata then.